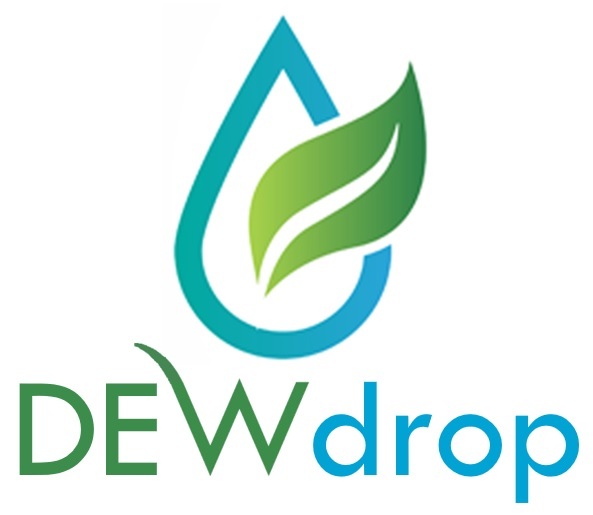 The DEWdrop is a Decentralised Ecological Wastewater treatment system with modular design that provides convenient harvesting and reuse of domestic greywater. It can recycle up to 400L of greywater per day to a quality suitable for toilet flushing and garden watering – saving up to R5,000/annum. Establish an efficient fabrication process in order to supply the system to hardwares, landscapers and plumbers. DEWdrop has been developed as a product by Isidima Design & Development (Pty) Ltd. Check out Isidima website for more Info about the company. Water flows through indigenous wetland plant root zone – high microorganism activity. Multiple biological filter layers provide high surface area for polishing filtration and treatment. Filter media supports plant growth for nutrient uptake as required. ‘floating aquatic system’ of wetland plants suspended above storage zone. Roots grow down into storage zone to provide surface area for final polishing by microorganisms. Aeration, foot valve to pump and float switch built in. 230V or 12V (solar) pump provides supply of recycled water at 4 bar pressure. Garden tap provided for convenient irrigation when desired: guilt-free gardening. Recycled water connected to secondary cistern inlet to supply toilet for convenient flushing. Private homes, businesses and education Centers. Modular design allows for scalable system. 14 working systems currently in use . Water quality samples was taken in June 2017. Visual water quality and odour good – attached image of a DEWdrop client flush. User friendliness voluntarily noted by trial households.